When procedural generation became a big thing, there were a lot of high hopes about what it could mean for infinitely explorable spaces. Some games do it better than others, but a lot of the time a strange paradox occurs: with everything different in minutes ways, everything starts to look the same. Sometimes the only difference is in the aesthetics; this planet has a blue cave and that planet has a red cave. The procedural stuff ends up not mattering; you’re just going to go spelunking in that cave regardless. So it seems like there has been a bit of a return to hand-crafted spaces in exploration games. 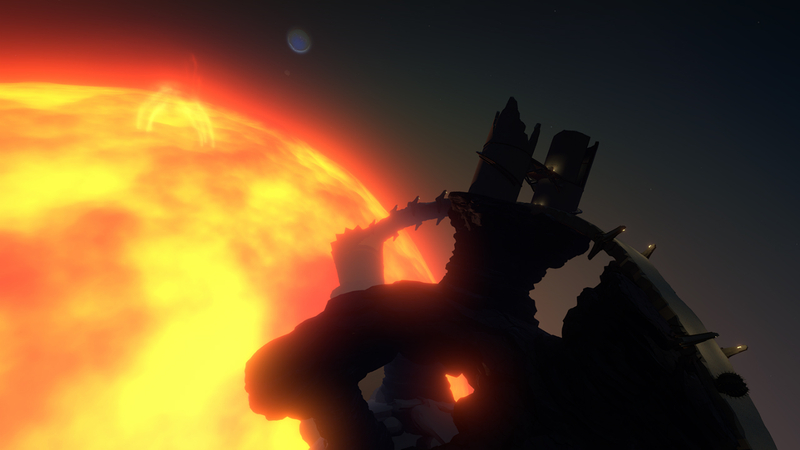 Outer Wilds does space exploration on a much smaller scale than, say, No Man’s Sky. But each of the ten or so worlds is unique, and each has its own stories to tell. In contrast to some of the larger space exploration games, Outer Wilds takes place in a single solar system. It’s got the star in the middle and several planets/planetoids/moons/whatever orbiting it. There are several potential goals at the outset, from researching an ancient species to just going somewhere nobody else has gone before. 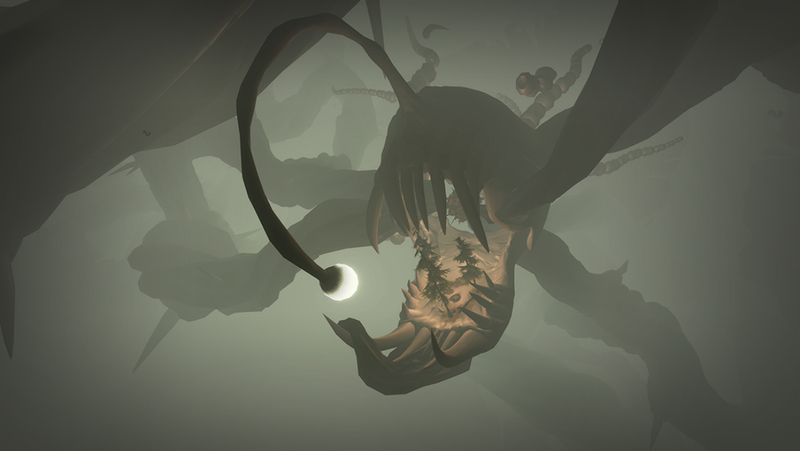 While the main idea of Outer Wilds is exploration, the hook is its 20-minute time loop. A weird statue early in the game sets up the loop: any time the main character dies it goes back to the launch pad with every unlocked memory intact. After 20 minutes in a given run, the local star goes supernova and engulfs the system. Still, memories persist across runs, so you could get right back to a story thread you were investigating before the sun blew up. Just hop in the spaceship and fly back to the world you were on. The different worlds are what drew me in. The first one I decided to explore (chosen essentially at random) appeared to be a fairly standard rocky world. I walked around a bit until I found a structure to investigate. Near the locked entrance was a note about a possible secondary entrance through tunnels near the equator. Jetpacking there revealed a huge chasm, basically hollowing out the planet. I was ready to find this other entrance and see what happened to the explorer who left that note. But then, boom. The sun exploded and engulfed me. Upon returning to the beginning, I looked up toward the sky and noticed the big green gas giant spitting something out of it. What the heck is that? I forgot about the rocky planet and went to check out the gas giant’s new satellite. My piloting skills aren’t perfect, so I flew too close to the planet and fell into its opaque clouds. Underneath was a green ocean, a few islands, and a raging storm. I landed on one island and found some ancient artifacts, pointing to me other places to explore in the solar system. After poking around a bit I was sucked up into a tornado and flung out into space. The last place I went to was a set of two tiny planets close to the sun, connected by a rigid bridge between them. My plan was to land on one, then traverse the bridge to the other. It was a good plan. But then, boom. The sun exploded and engulfed me, and this time I was right next to it so I had even less warning. I only saw a few of the worlds in Outer Wilds, but each one had its own trials to go through. Some were more dangerous than others, but they all felt special. That’s what hand-designed spaces can do. I was offered a third run through for an hour of total play, and I was tempted to take it. (Damn the other obligations I had.) While it’s a feat to create a game with millions and billions of places to explore, I put more value in this game’s philosophy: there are only a dozen or so worlds, but I desperately want to explore them all.